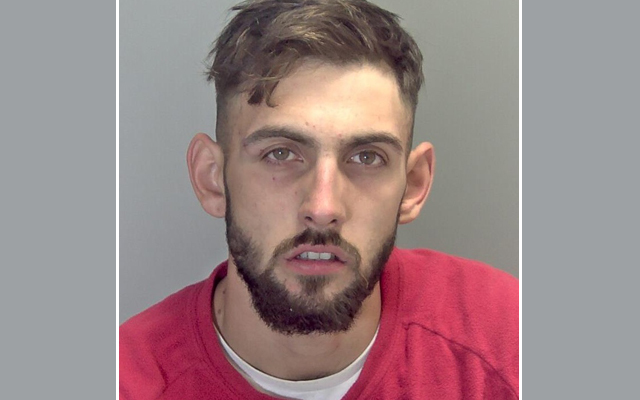 Two people from Bedfordshire have received custodial sentences for their involvement in a burglary at a convenience store in Kessingland last year, during which a cash machine was stolen and a police officer had a car driven at him. Jack Morgan, aged 21, of Common Road, Potton, appeared at Cambridge Crown Court on Tuesday 29 January, where he was sentenced to five years’ imprisonment. He had pleaded guilty to the charges of burglary, theft of a motor vehicle and attempted theft of a motor vehicle. A 17-year-old boy from the Bedford area (who cannot be named for legal reasons) was previously sentenced at Cambridge Crown Court on Tuesday 11 December. He pleaded guilty to charges of dangerous driving, burglary, theft of a vehicle and attempted theft of a vehicle in connection with the incident in Kessingland, receiving a four-month detention and training order for each offence, three of which are to run concurrently. He was also sentenced to an additional 10 month detention and training order after being convicted of a separate burglary conspiracy involving offences across the eastern region, totalling 14 months combined with the other crimes. He was also disqualified from driving for 19 months. Police were called at 2.40am on Monday 10 September, to reports of a burglary in progress at the Co-op in Field Lane. The front window of the building was smashed to gain entry to the building and a green Land Rover Defender was then used to drag out the cash machine from inside. The Land Rover became stuck in the process and was abandoned at the scene and so the offenders then attached the cash machine to the back of a blue Volkswagen Golf and drove off in the direction of the beach. Police units located the VW Golf as having turned into Church Road and then towards Kessingland Beach Caravan Park, which is a dead end. Two marked police cars attempted to contain the VW Golf in this cul-de-sac, and the officers got out of their vehicles. The VW Golf then drove directly at the police cars, colliding with both of them and causing one officer to climb up onto a wall to avoid being squashed between it and his car. The cash machine became detached from the VW Golf at this point and the car drove-off towards the A12, where it was then seen by another police vehicle to enter the southbound carriageway but travelling in the wrong direction. The police car followed the suspect vehicle on the opposite carriageway, with the VW Golf reaching speeds of over 100mph. The suspects abandoned their vehicle in Romany Lane and following extensive searches of the area, the 17-year-old boy was located hiding in bushes by a police dog handler at around 4am. At around 5.30am, Morgan emerged from some undergrowth and made himself known to officers who were utilising a drone to search the area for heat signatures. The 17-year-old boy was found to have been driving the VW Golf, with Morgan and he carrying-out the burglary together, possibly with other suspects who have not been identified. It was later discovered that they had stolen the Land Rover Defender from a property in Gisleham earlier the same morning, at some time prior to 2.40am. They were also convicted of the attempted theft of a Land Rover Discovery from a premises in Barley Way, Lowestoft, at around 1.40am that morning. 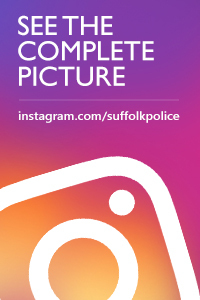 The two offenders were taken to Great Yarmouth Police Investigation Centre for questioning and subsequently charged to appear before magistrates on Tuesday 11 September. Detective Inspector Matt Adams, of East CID at Lowestoft Police Station, “Jack Morgan and his 17-year-old accomplice were apprehended as a result of excellent police work and I would like to take this opportunity to commend the bravery of the officers involved in the pursuit and arrests of these two individuals. Two people arrested following a break-in at a business premises in Kessingland have been charged in connection with the incident. Police were called at 2.40am yesterday morning, Monday 10 September, to reports of a burglary in progress at the Co-op in Field Lane. The Land Rover became stuck in the process and was abandoned at the scene and so the offenders then transferred the cash machine into a blue Volkswagen Golf and drove off in the direction of the beach. Police units searched the area and two police cars were involved in a collision with the suspect vehicle, before it drove off onto the A12 travelling in the wrong direction. The suspects decamped from the vehicle in Romany Lane and following further searches in this area, officers arrested two people in connection with the burglary. It is believed there could be up to five suspects in total. The Land Rover Defender was discovered as having been stolen from a property in Gisleham earlier yesterday morning, at some time prior to 2.40am. Officers are also linking this crime with the attempted theft of a Land Rover Discovery from a premises in Barley Way, Lowestoft, at around 1.40am yesterday morning; and also a burglary at a house in Keysoe, Bedfordshire, overnight between 28 and 29 August where a Volkswagen Golf was stolen. A 17-year-old boy from the Bedford area (who cannot by . He has been charged with five offences: burglary other building; theft of a motor vehicle (a Land Rover Defender); attempted theft of a motor vehicle (a Land Rover Discovery); dangerous driving; and failing to stop for police. Both males have been remanded in custody and are due to appear before Norwich Magistrates’ Court today, Tuesday 11 September. Anyone with information about this incident, or who witnessed any suspicious activity in Kessingland, Gisleham, or Barley Way, Lowestoft, between 1am and 3am on Monday 10 September, is asked to contact East CID at Lowestoft Police Station on 101 quoting reference 51848/18. Two people have been arrested following a break-in at a business premises in Kessingland. Police were called at 2.40am this morning, Monday 10 September, to reports of a burglary in progress at the Co-op in Field Lane. The front window of the building was smashed to gain entry to the building and a green Land Rover was then used to drag out the cash machine from inside. The Land Rover became stuck in the process and was abandoned at the scene and so the offenders then transferred the cash machine into a blue Volkswagen Golf and drove off in the direction of the beach. When police units arrived at the scene, witnesses pointed officers in the direction that the offending vehicle had made-off and it was then located down Beach Road which is a dead end. The Volkswagen turned around and drove at the police vehicles, which were now blocking the road, and collided with two of them to get away. This caused the cash machine to fall out of the back of the car and it was then recovered by police. The offending vehicle drove off at speed through the village and entered the southbound carriageway of the A12 driving in the wrong direction. Officers pursued the vehicle into Romany Lane, at which point the occupants decamped and ran off. There were believed to be five suspects involved in the break-in. Following a search of the area assisted by the police dog unit and use of a police drone, two people were subsequently arrested in connection with this incident and taken to Great Yarmouth Police Investigation Centre where they currently remain for questioning. Following initial police enquiries the Land Rover has been discovered as having been stolen from a property in Gisleham earlier this morning, at some time prior to 2.40am. Officers are also linking this crime with the attempted theft of another Land Rover from a premises in Barley Way, Lowestoft, at around 1.40am this morning. Anyone with information about this incident, or who witnessed any suspicious activity in Kessingland, Gisleham, or Barley Way, Lowestoft, between 1am and 3am this morning is asked to contact Lowestoft CID on 101 quoting reference 51848/18. Alternatively contact the charity Crimestoppers anonymously on 0800 555 111.